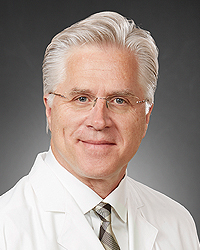 Thomas J. Merle, MD is a board certified thoracic surgeon with more than 25 years of experience in healthcare. Dr. Merle received his medical degree from Ohio State University in Columbus, Ohio. Dr. Merle completed his residency in general surgery at Riverside Methodist Hospitals in 1983 before continuing on to his second residency in cardiovascular and thoracic surgery at the University of Alberta Hospitals.